The Playgoer: Provincetown Playhouse as "Place of Pilgrimage"
Provincetown Playhouse as "Place of Pilgrimage"
Well, I don't expect the mighty Susan Glaspell Society will make NYU quake in its boots. But all the same, they've issued a moving rallying cry to save the Provincetown Playhouse. Street and we wish to express our opposition. The Provincetown Playhouse, with its origins on the sand dunes of Cape Cod, has a place of honor in the history of the theatre as the “birthplace of the New American Drama.” It was at number 139, and then at 133 MacDougal Street that the Provincetown Players crafted their plays in a spirit of “fun” – as their unofficial historian Edna Kenton stated. But the fun was always serious; the aim of Susan Glaspell and George Cram Cook, the founders of this theatre, was to give American playwrights a stage on which to experiment and to perform plays that the commercial theatre routinely rejected. It was the inspiration for all Off-Broadway and avant-garde theatre in the United States and is still a place of pilgrimage for all lovers and scholars of theatre from many different parts of the world. The Provincetown Players performed 97 plays by 47 American playwrights during their seven years of existence. Their principal playwrights and founders of the American drama were Susan Glaspell and Eugene O’Neill who were acclaimed as such by eminent critic Ludwig Lewisohn in 1932: “Susan Glaspell was followed by Eugene O’Neill. The rest was silence; the rest is silence still.” However, the roster of well-known modernist writers who found a home at the Provincetown Playhouse includes Djuna Barnes, Theodore Dreiser, Mike Gold, Edna St. Vincent Millay, John Reed, Wallace Stevens, William Carlos Williams. . . and also actors, designers, and artists, such as Sophie Treadwell, Helen Hayes and Margaret Wycherley, Robert Edmond Jones, and William and Marguerite Zorach. All these are subjects of ongoing research and publication by American and international scholars as well as theatrical revivals, exemplified by the highly successful recent production of Susan Glaspell’s Chains of Dew at the London Orange Tree Theatre. The Susan Glaspell Society speaks here for the values of the spirit that the Provincetown Playhouse represents and we hope that the NYU Law School will reconsider its plans to demolish the Provincetown Playhouse and will preserve this irreplaceable landmark of American literary and theatrical history. While Provincetown was certainly not the first theatre in the United States (and not even the first good theatre or "serious theatre"), it could be called one of our first successful non-commercial (before the designation "not-for-profit") theatre companies. So the little playhouse does stand as a monument to that, at least. We need your help -- thank you for posting this. 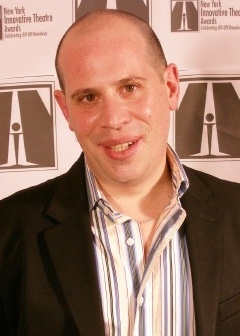 I am Leonard Jacobs, the national theatre editor of Back Stage and first-string critic for Back Stage and the New York Press. And I am serving as one of the primary liaisons to the working New York theatre community in the fight to stop NYU from demolishing this icon of American theatre.